It was glorious. Mercury transiting the Sun. 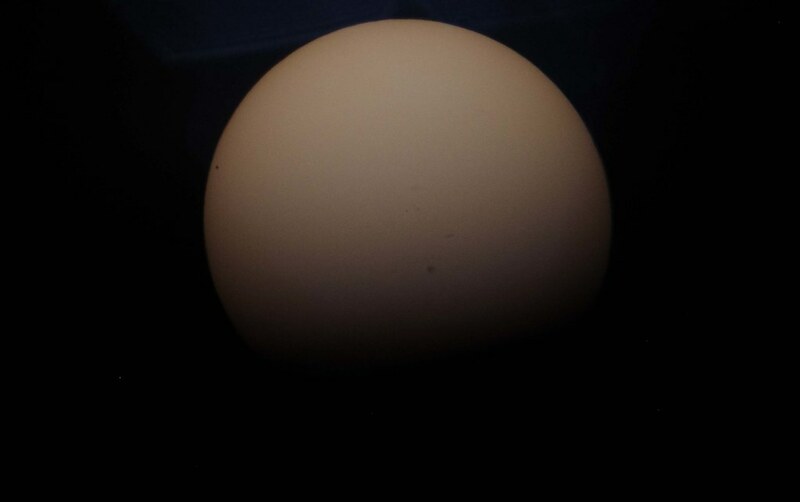 The small dot near the left edge is Mercury. Vivitar 28mm F2 'close focusing' lens on a 9" Orion scope. The small dot on the right side is Mercury. 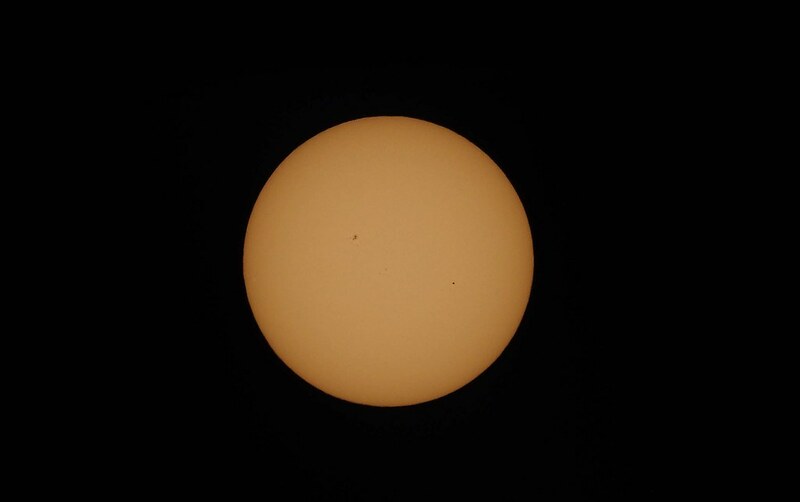 The larger spot on the left side is a sunspot. Fascinating - thanks for sharing! Nice captures, thank you for sharing. Saw this on the news. Even better to see it from a fellow photographer. Very nice!